Since November last year, I have been volunteering on the Luna Project in the Digital Imaging Unit. Throughout the project I have been working with the University of Edinburgh’s Shakespeare Collection. 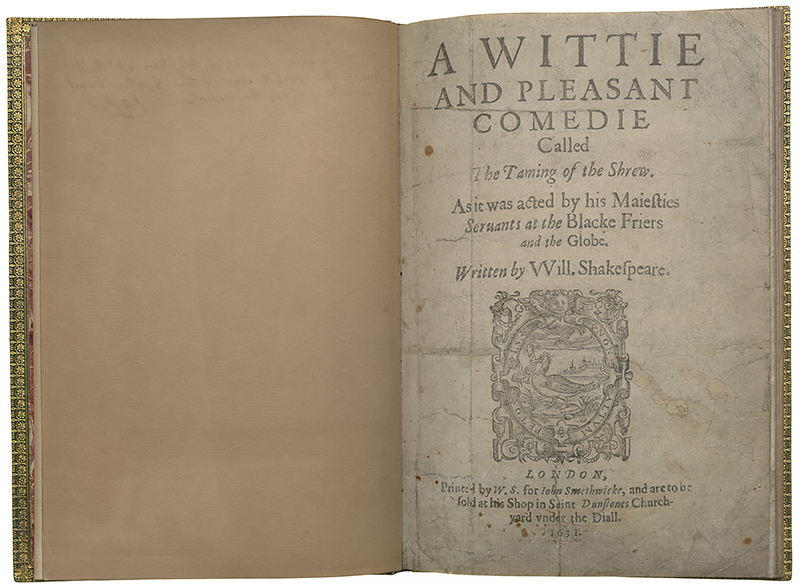 As a fan of Shakespeare’s work, I was delighted to have the opportunity to work closely with this collection which contains a variety of different classic Shakespeare plays such as; Romeo and Juliet, Henry VI, Midsommer Night’s Dreame and my personal favourite, the Taming of The Shrew. The aim of the Luna project has been to pull together all of the metadata for each of the individual plays, in order to make them all uniformed and searchable in the Luna library. This has involved finding each book’s unique MMS catalogue number, library authority, DiscoverEd permalinks and checking that all existing data is up to date and accurate. I would then update the records on Luna with any additional information found, then add this data to a worksheet so that a searchable record containing all the information is available. In total, I have worked through the 2,044 individual images from approximately 40 different copies of Shakespeare’s work. 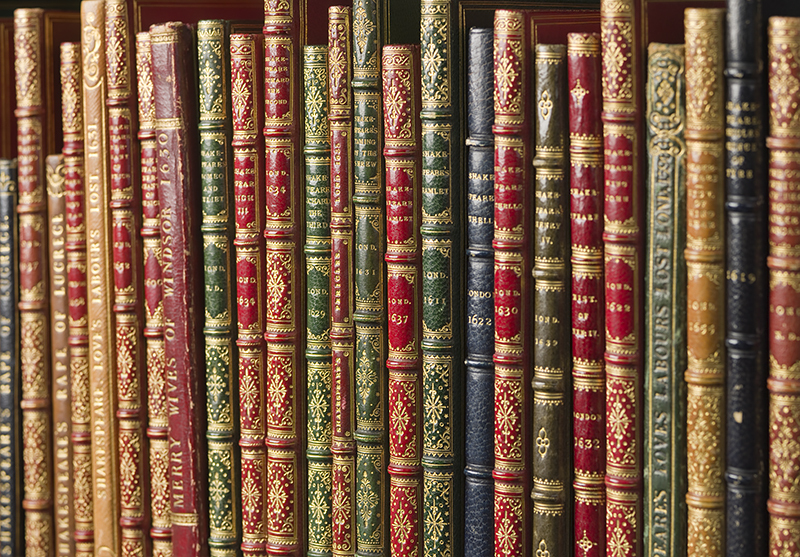 From book pages with stage directions to highly decorative spines, hardback front and back (both interior and exterior) which have been digitised over the years by the Digital Imaging Unit. Whilst looking through the collection I found that two of the books, Romeo and Juliet (1599) and Love’s Labour Lost (1598), had been donated to the University of Edinburgh by William Drummond at some point between 1626 and 1936. Drummond, who was a previous student at the University, was an avid collector of books from a wide range of different disciplines. From theology and philosophy to literature and law in English, French and Spanish; Drummond’s library was vast and varied. In 1626, Drummond began donating his collection to the University of Edinburgh in batches, with the last one being donated in 1636. In total, Drummond donated 600 books, laying the foundation for the University’s first library collection. My biggest challenge was looking out for odd pages which had somehow been mislabelled. 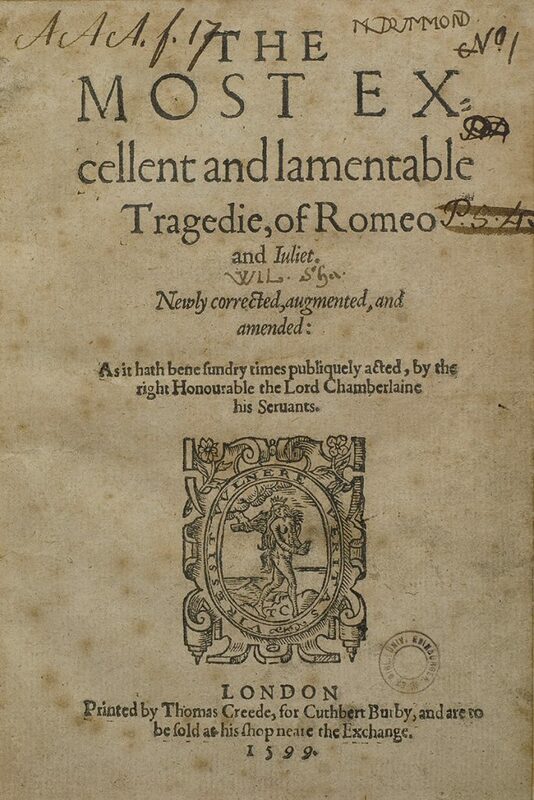 Whilst searching for any misplaced pages, I found that the final page from Henry IV appeared as the final page of Romeo and Juliet when I searched using the book title and the shelf-mark that this copy of Romeo and Juliet belonged to. I then found the issue with the page, updated its data and for some reason the page was still reluctant to move back to where it belonged! Eventually, with help from Susan Pettigrew and Scott Renton, the page returned to its rightful place and order in the collection was once again restored. This moment highlighted why it is so important to double check your metadata updates and each page as I went, as something as simple as a miss-typed shelf-mark could result in a page going missing, and why this project is crucial to undertake. Overall, my time volunteering in the Digital Imaging Unit has allowed me to learn more about the importance of metadata and cataloguing management. My proudest moment was the afternoon where, for the first time since I had started the project, when I searched for certain collections on the Luna Library using their MMS catalogue numbers which I had added from Alma or their DiscoverEd permalinks, the correct collections appeared and without any extra pages filtering in. It has been a fantastic opportunity to learn more about the collections, as well as the chance to witness some of the ongoing photography and digitisation projects at the Digital Imaging Unit first hand. An opportunity which, for a keen amateur photographer fascinated by the digitisation process, has been incredibly exciting. With the Shakespeare Collection nearly completed, I am looking forward to continuing volunteering on the Luna Project by moving onto another Image Collection after my exams in May.